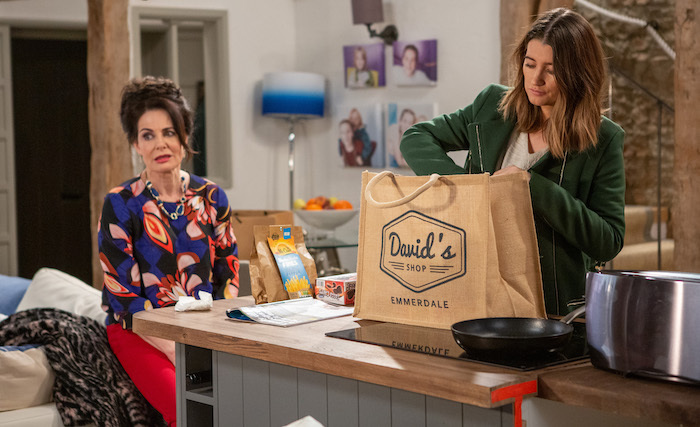 Mon 18 Feb 2019: Harriet convinces Dawn to go on a date with Ryan. 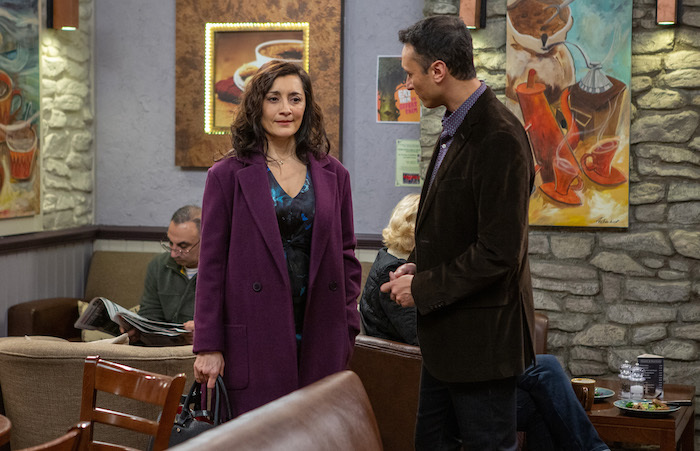 Mon 18 Feb 2019: Dawn is horrified to be harassed by one of her ex-punters Leon while on a date. 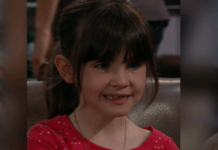 Mon 18 Feb 2019: Billy and Tracy Shankley grow closer. Mon 18 Feb 2019: Is this the start of a new romance for Tracy Shankley? Tues 19 Feb 2019: A vengeful Leon stalks Dawn and turns up in her house. 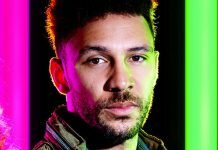 Tues 19 Feb 2019: Leon gets nasty and tries to intimidate Dawn. 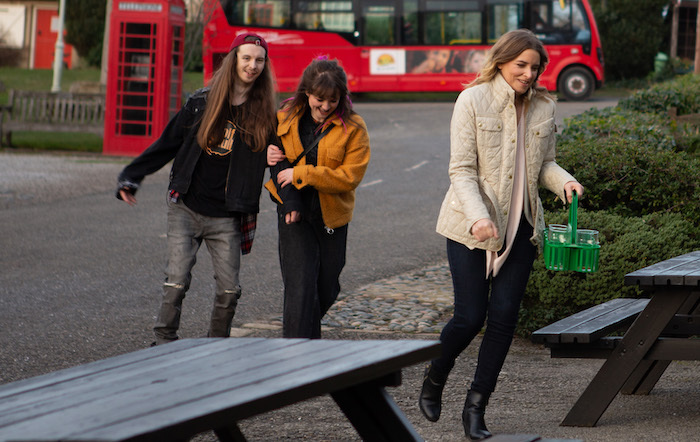 Tues 19 Feb 2019: Dawn fights back against Leon. 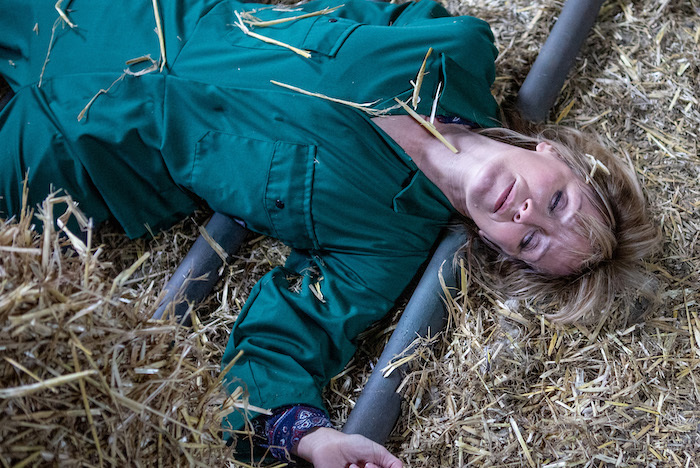 Tues 19 Feb 2019: Harriet Finch is in awe as Dawn stands up to Leon. 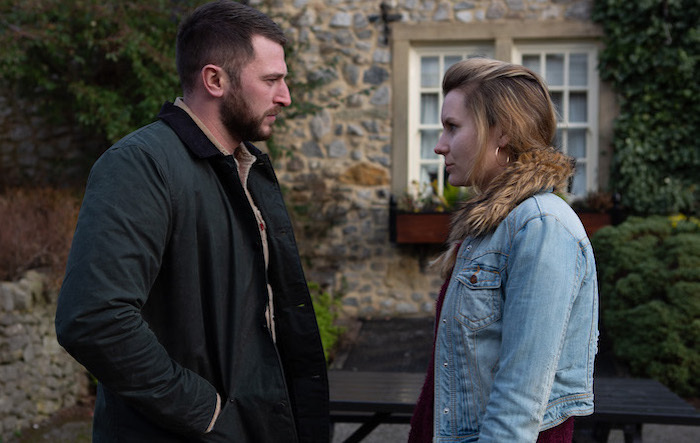 Tues 19 Feb 2019: Harriet Finch tells Leon to leave Dawn alone. 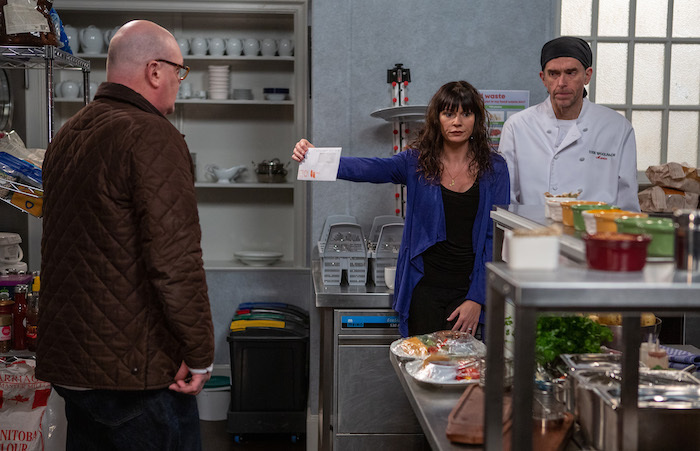 Tues 19 Feb 2019: Dawn stands up to Leon and kicks him out. 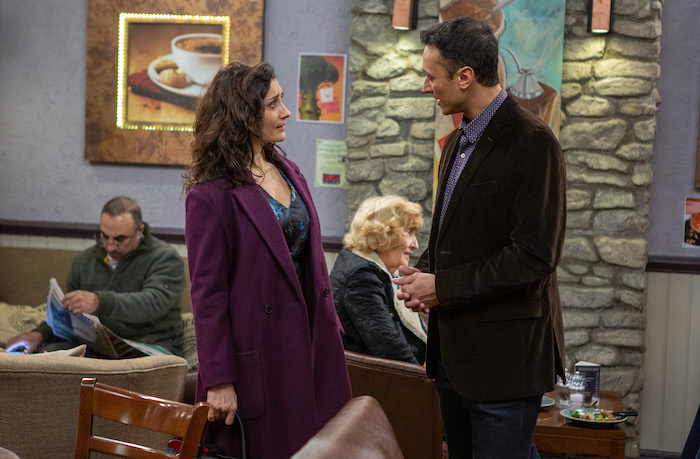 Tues 19 Feb 2019: Rishi is concerned when Manpreet lies about taking a day off work. 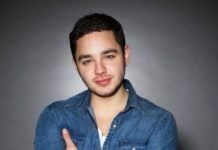 Tues 19 Feb 2019: Jai Sharma convinces himself Manpreet is having an affair. 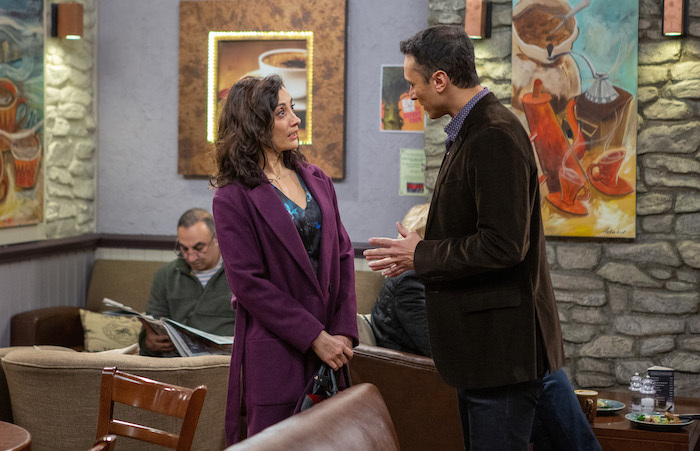 Tues 19 Feb 2019: Jai Sharma warns Manpreet that he’s on to her. Tues 19 Feb 2019: A confused Laurel Thomas catches Manpreet in the factory office. 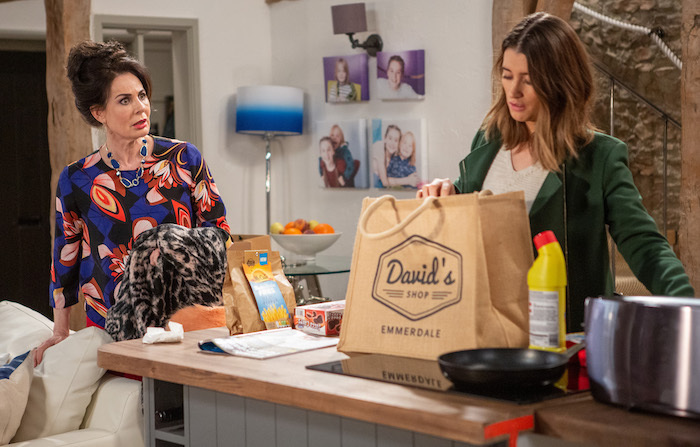 Tues 19 Feb 2019: Laurel sees Manpreet taking the company credit card. 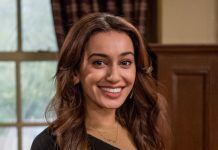 Tues 19 Feb 2019: How will Manpreet explain herself to Laurel and will she tell Jai? 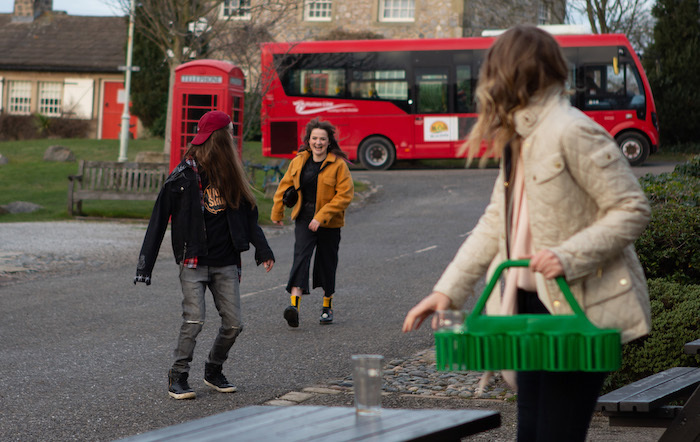 Tues 19 Feb 2019: Ryan meets up with old friend Gail who’s turned up. Tues 19 Feb 2019: A few drinks in, Gail tries to kiss a shocked Ryan. 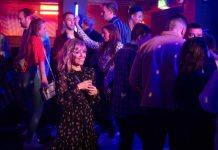 Tues 19 Feb 2019: Gail tries to kiss a shocked Ryan – just as a Dawn walks in. 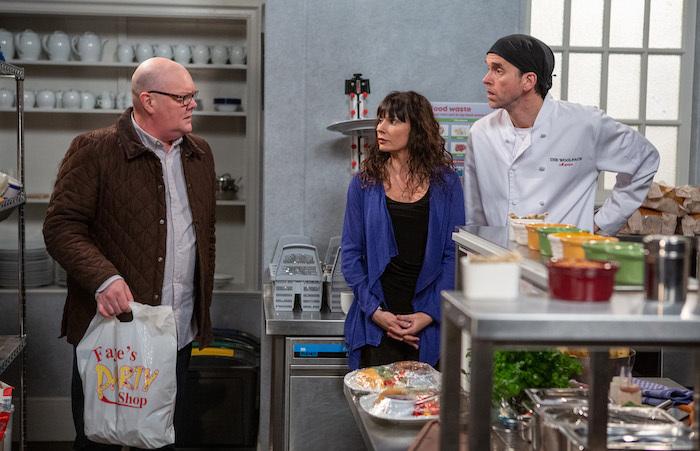 Wed 20 Feb 2019: With Charity Dingle’s continued meddling, is a potential relationship between Ryan and Dawn over before it’s even begun? 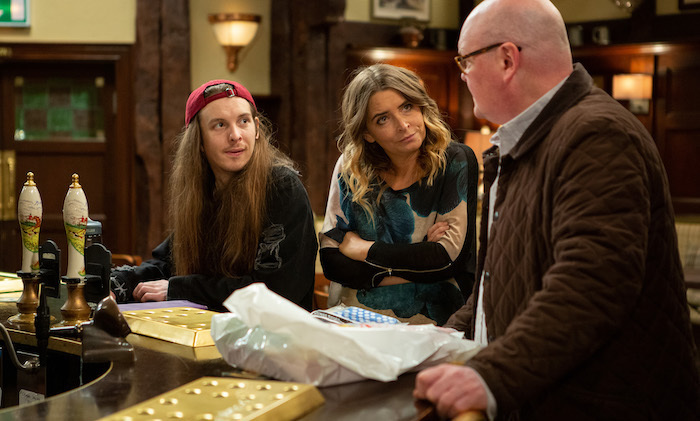 Wed 20 Feb 2019: Does Paddy have any wise words for Charity and Ryan? Thurs 21 Feb 2019 – 7pm: When money is transferred from the business in to Manpreet’s personal account, Jai Sharma decides to take matters into his own hands. 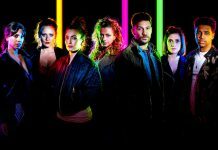 Thurs 21 Feb 2019 – 7pm: What is Manpreet up to with the factory money? And why does Rishi Sharma cover for her? 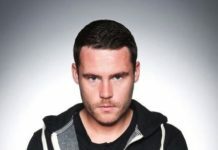 Thurs 21 Feb 2019 – 7pm: Paddy Kirk is furious with Chas Dingle and Marlon Dingle. 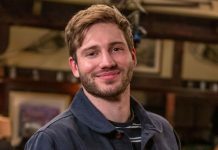 Thurs 21 Feb 2019 – 7pm: Paddy realises Chas and Marlon conned him into a DNA test. Thurs 21 Feb 2019 – 7pm: What will the DNA test reveal? Is Bear Wolf Paddy’s dad? 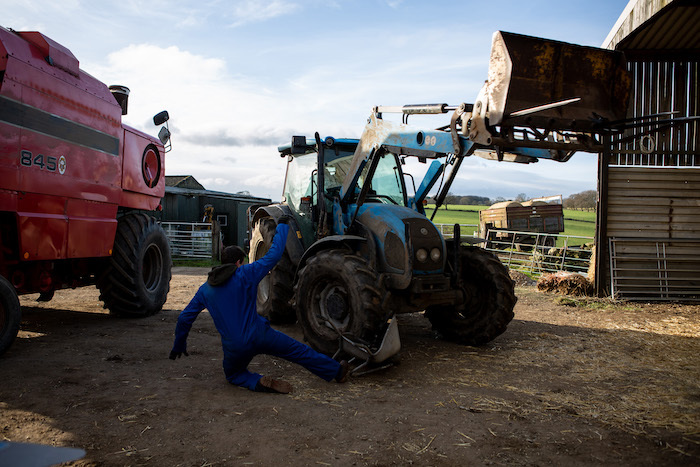 Thurs 21 Feb 2019 – 7pm: When Pete Barton finally arrives to work at the farm, Matty Barton moans about Cain. 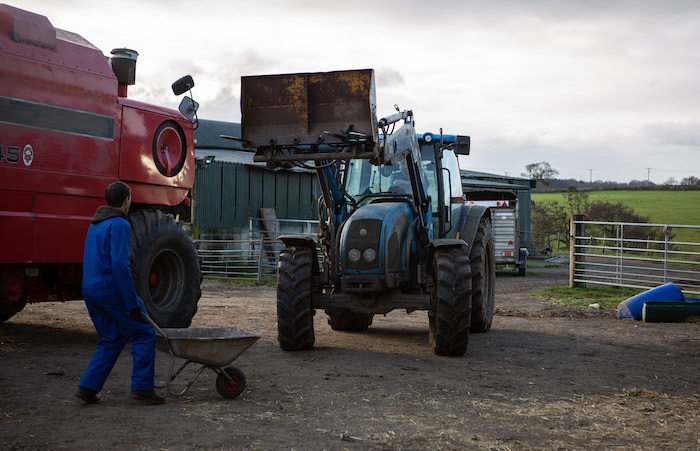 Thurs 21 Feb 2019 – 7pm: Matty Barton forgets to pass on his warnings about the dodgy tractor. 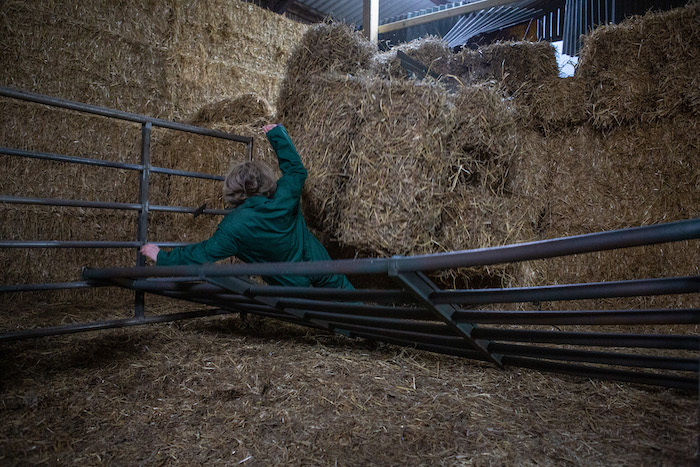 Thurs 21 Feb 2019 – 7pm: Now covering Vanessa’s shift, Rhona Goskirk also arrives at the farm to check the cows. Thurs 21 Feb 2019 – 7pm: Unable to find them, Rhona phones Pete from the barn. 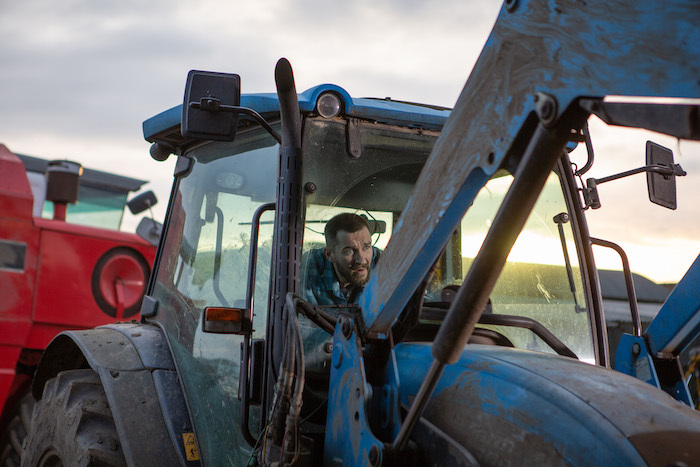 Thurs 21 Feb 2019 – 7pm: Distracted by his ringing phone, Pete is horrified when the tractor he’s driving brakes fail. 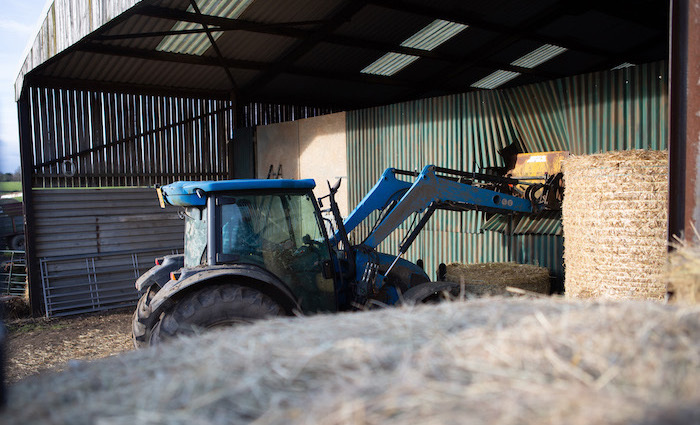 Thurs 21 Feb 2019 – 7pm: The tractor Pete’s driving swerves into the barn as the brakes fail. 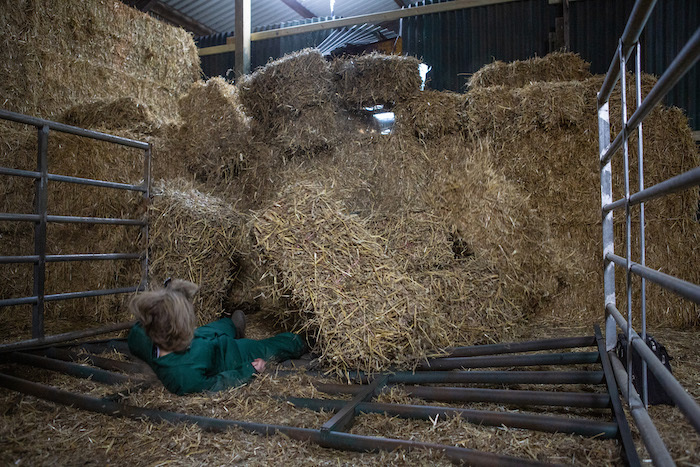 Thurs 21 Feb 2019 – 7pm: As the tractor crashes through, Rhona inside is knocked to the ground. 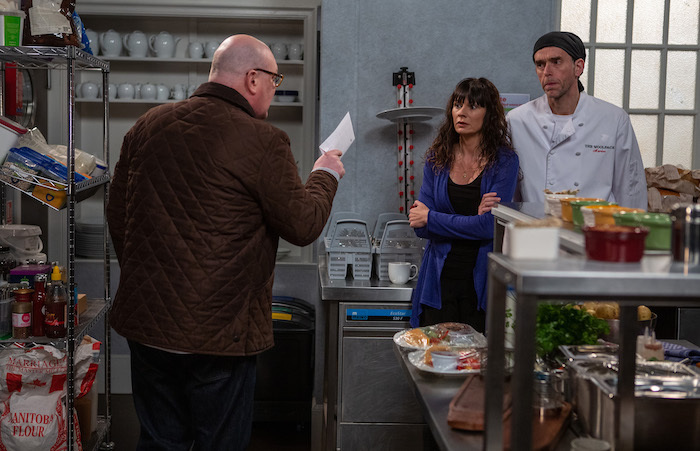 Thurs 21 Feb 2019 – 7pm: Will Pete find out Rhona is inside and will she be ok? 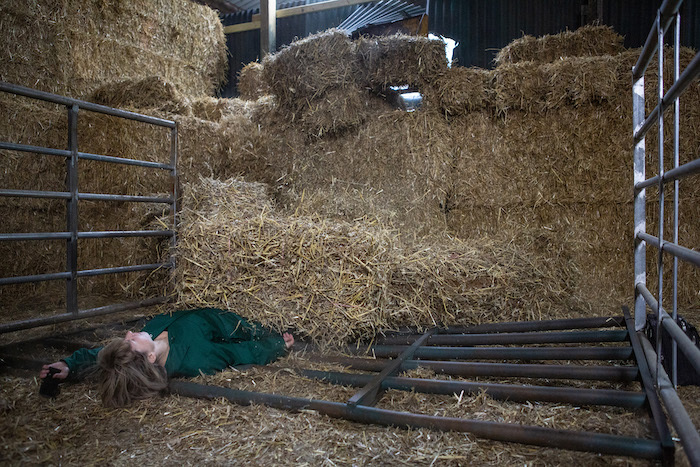 Thurs 21 Feb 2019 – 7pm: Rhona Goskirk lies unconscious and bleeding on the floor. Thurs 21 Feb 2019 – 8pm: Debbie Dingle’s hiding something from Faith Dingle and Sarah Sugden. 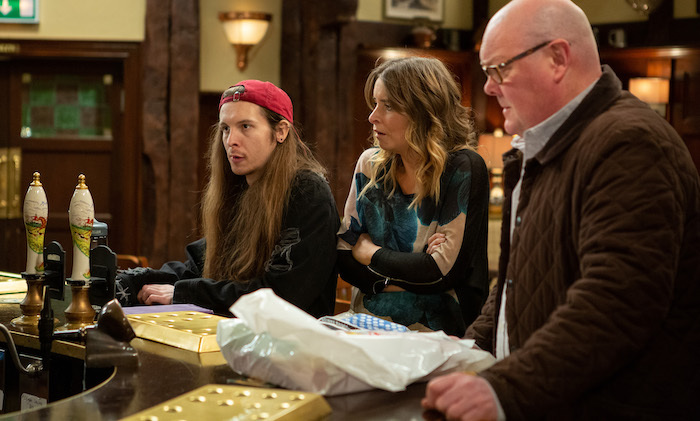 Thurs 21 Feb 2019 – 8pm: Faith tries to get to the bottom of what Debbie Dingle is hiding. 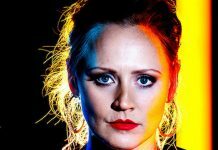 Thurs 21 Feb 2019 – 8pm: What is Debbie Dingle hiding and why? 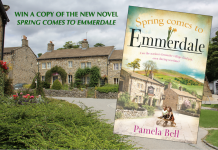 Emmerdale is on ITV at 7pm Monday to Friday, with an additional episode on Thursday at 8pm.